The Victoria Falls are the largest waterfall in the world, and are shared between two countries Zimbabwe and Zambia and the views are quite different from both sides. 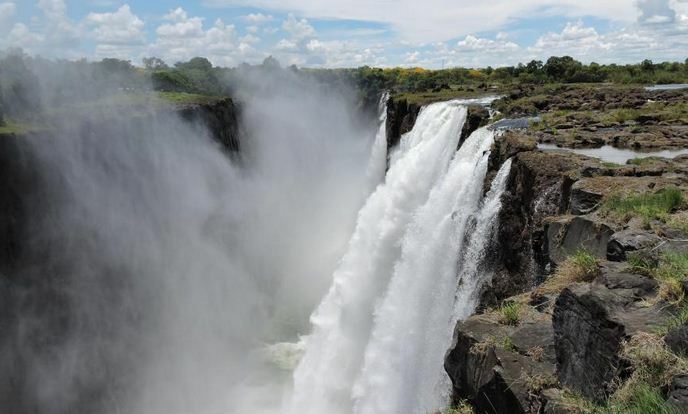 On the Zambian side of the falls, the tour is shorter as only 30% of the Falls are viewable from Zambia but it is still very much worth the visit as the perspectives are quite different to Zimbabwe. The tours are available 7 days a week and last about 2 hours. The times of the tours are not set so you can request a suitable time when you make your booking. Morning tours will generally give you better rainbows but sunsets from the Zambian side are also spectacular. On a guided Victoria Falls tour, you will learn how this magnificent world wonder was formed. You will also learn about the people who lived here over a century ago, and those that came to discover its existence and shared it with the world. A path along the edge of the forest provides the visitor with an unparalleled series of views of the Falls. 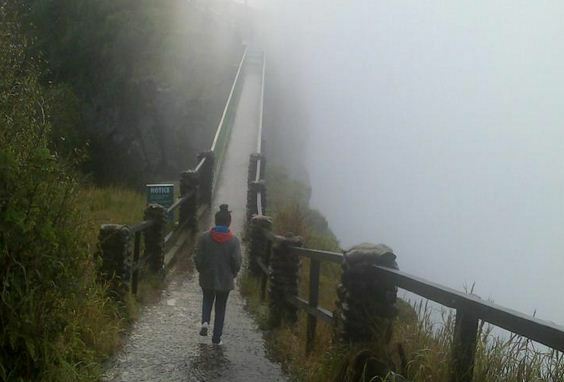 One special vantage point is across the Knife edge bridge, where visitors can have the finest view of the Eastern Cataract as well as the Boiling Pot where the river turns and heads down the Batoka Gorge. Other vantage points include the Knifes Edge bridge and the Lookout Tree. Different times of the year will provide completely different experiences and views of the falls. 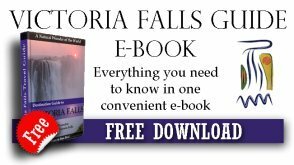 During the high water months of January to July the spray from the falls is tremendous and a complete drenching is guaranteed. The absolute peak flood season is around March and April when the full power of the falls can be experienced in all its glory. At it's lowest, around November and December the falls in Zambia become little rivulets running over the edge and in some places no water falls at all, this is when a dry rock face appears. During this time, it is best to view the Victoria Falls from the Zimbabwean side which still has a decent flow of water even in the dry season. See more about Victoria Falls in Zimbabwe here. Children 3 to 11 years of age pay 50% of the adult rate for a guided Victoria Falls Tour, and 50% of the National Parks fees. Children below the age of 3 get into the park free of charge.